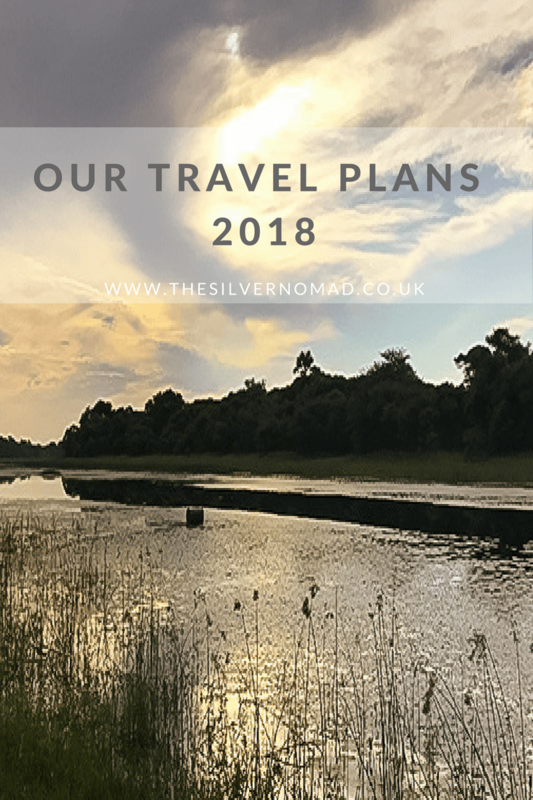 I know it is already the middle of March, and maybe a bit late to start writing about our travel plans for 2018, but our plans have been in a bit of flux for this year. I was finishing off a house-sit in Callas in the South of France, but then returned for a day and a meeting in Beaulieu-sur-Mer near Nice and a quick trip to Monaco for a coffee in Stars and Bars, as you do! I decided that we needed some heat, so we flew off to Rajasthan in India for 16 days to get a taster before planning a longer trip. Our itinerary was kind of done on the hoof, but we managed to get to Delhi, Agra (when in India, you have to see the Taj Mahal), Jaipur, Pushkar, Jodphur, and overnight in Bikaner and then back to Delhi using buses, trains, tuk-tuks, camels and a rather interesting late night trip 3-up on a motorbike! Our first proper Trusted House Sitters housesitting gig this year was to look after the lovely Shayna, a Golden Retriever in Wetherby, West Yorkshire. With miserable weather, we used the time to catch up on our paperwork but hope to return to do some exploring. Some family time and a chance to visit one of my favourite towns in Scotland – Kelso. Okay, so my Mum lives there, but it is such a delightful place to visit with mainly independent shops and very few high street ones, it is a joy to visit. We were there for the fabulous monthly Farmer’s Market and we treated ourselves to some handmade soap, delicious ginger wine and Alan’s favourite the haggis sausage rolls. We left when the “Beast from the East” snow storm abated to have some time at home gearing up for our next big adventure. This is our second big adventure of the year combining some housesitting and exploring. We haven’t spent much time in Africa and are really excited to spend three weeks housesitting in Maun, Botswana looking after 3 dogs and a cat, taking walks by the Thamalakane River looking out for hippos and crocs and exploring what Maun has to offer. We will then bid our two- and four-legged friends goodbye and head off to the Unesco site of the Okavango Delta for a safari, staying in tents and lodges and hopefully seeing elephants, zebra, lions, leopards and many other wildlife and birds before crossing over to Zimbabwe to the Victoria Falls. This is when Alan and I will part company for a while. Alan will be jetting off to Honduras and the island of Guanaja to look after a stunning property for the owners, while I enjoy a 3-Day Blogger’ Retreat in Somerset run by Claire and Laura from Twins That Travel and Monica from The Travel Hack. I am kind of a newbie blogger, so I am looking forward to learning lots of tips and tricks as well as supping some Somerset cider! Following on from the Bloggers’ Retreat in April, I am travelling to Rotterdam for the Traverse 18 conference where digital influencers, creators, bloggers and vloggers meet up to learn, experience, create, network and grow our businesses. Slightly scary, but I am sure it will be immense fun! June: Cuneo and a surprise trip! For my other job with the F1 Grand Prix Drivers’ Club, I have been invited along to their AGM in Pianfei in Cuneo. We have some exciting tours lined up, keep an eye on the blog for more! I was going on a trip as a treat for my birthday, but I am waiting to hear about a trip with WOWTrip. With a WOWTrip, you chose your dates, your airport and how long you want to go for and find out 48 hours before you fly (or at the airport!!) where you are going. I will be a really unique experience. I am travelling back up to Kelso to help with the celebrations for my Mum’s 80th birthday and to catch up with some friends and maybe a few detours along the way. I am flying over to spend 3 months in Guanaja with Alan looking after the beautiful Mariposa Estate which is currently for sale, see old friends and get to know the island better. On the way, we are having a few days in the Cayman Islands before flying down to La Ceiba and on to Guanaja. I will be flying back from Honduras to the UK via a few days in the Cayman Islands. One of the reasons I am flying back from Honduras is to attend WTM – World Travel Market in London from 5-7 November. After a change of plan, I have to spend time with family in Kelso with a quick trip to Brazil in the middle. Which of our plans are you most excited to read about? Leave us a comment below and we’ll be sure to create an article just for you! Do you have any BIG plans for this year? We’d love to hear from you! Hi Larch….sounds fabulous really envious of all your trips but if you do venture out of Honduras then Guatemala would be the best option… you need to see Antigua the beautiful colonial town it is fantastic so many sights to see…tgen there is Volcan Pacaya which you use to be able to hike up to see the lava flows….oh so many places in Guatemala that i am so familiar with and could remember so well. Tikal….Semuc Champay just to mention a few more…. Off to Greece next Wednesday with Kapri to do some island hopping around the Aegean….menorca in early may for a few days…then Italy late may with a stop in Turin somewhere i have not seen before….